Exxon Mobil own a 12” x 3.5km refined products pipeline that runs from a dockside terminal to a tank farm on the outskirts of Naples, Italy. The line had been decommissioned in preparation for MFL inspection but it had never previously been pigged. Before running the MFL tool, the line was proved by running a foam pig through it then a bi-di gauging pig was launched to help quantify any risk to the MFL inspection tool. Unfortunately, the gauging pig became stuck in the line and had to be cut out. When the pipe was cut open, it became apparent that the pig had been obstructed by internal ring anodes, which had been dislodged by the gauging pig causing it to hang up as it traversed a bend. 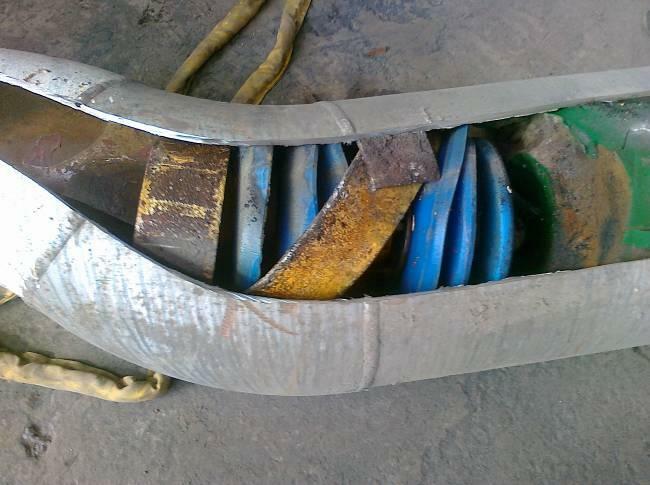 The internal anodes are in the form of a circumferential ring, approximately 5mm to 10mm thick and 100mm wide, which are held in place by straps welded onto the inner surface of the pipe. Corrosion appears to have weakened some of the welds on these straps and the force applied by the passage of the pig through the line was enough to rip some of the anodes off the wall. The pipeline records contained no information regarding numbers or locations of these anodes and it was obviously vital to understand the extent of the problem before attempting to run the more complex MFL or UT pigs through the line. The client was understandably concerned about using a regular caliper pig to survey the line, in case it also became stuck. Pipeline Innovations Ltd (PIL) were approached and asked whether the new Pathfinder Foam Caliper might be a suitable alternative to a hard bodied type of caliper and what level of information could be obtained by running it in the line. PIL’s response was that the tool was designed to fulfil exactly the role required in this instance and that the data obtained is very similar to that from a caliper tool. Stage 1 – Design and build a caliper foam pig suitable for the Naples pipeline and carry out acceptance tests in PIL’s test loop, with simulated anodes and 1.5D back to back bends as were present in the target line. Stage 2 – Mobilise foam calipers and engineer to Naples. 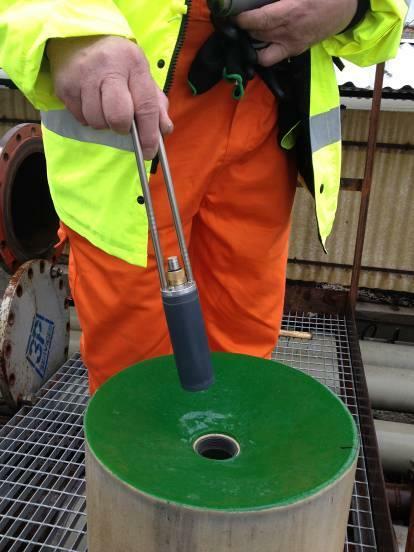 Carry out caliper survey of the 12” pipeline and produce preliminary and final survey reports. Preliminary loop testing was carried out using the PIL test loop facility in the North East of England. The tests included assessing the performance of 12” (308mm OD) foam calipers in a full bore unbarred tee, a 3D 90º schedule 80 bend and in straight pipe bores of 303mm, 289mm and 273mm. 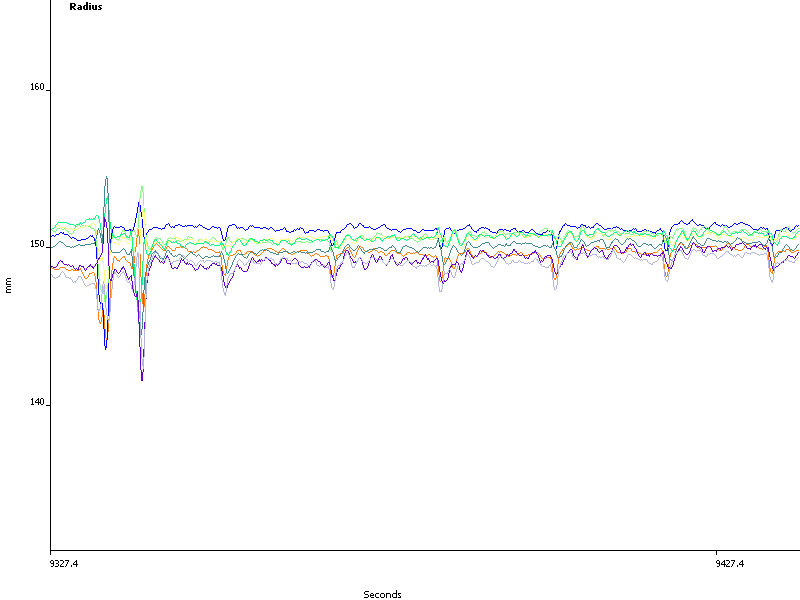 In addition, a simulated internal anode was produced and the response of the pig to the anode was assessed. 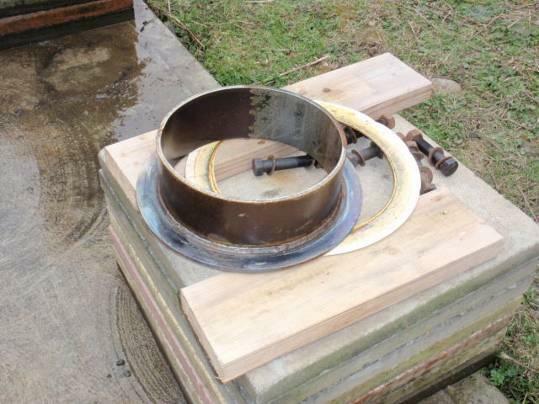 These tests showed that the foam caliper was fully capable of detecting the bore changes and pipe features, including the simulated anode, while having no problem in negotiating any of these features. The final pig design featured a profiled nose section, which was coated with PU to minimise damage from the anodes. The client had requested the addition of an E.M. transmitter to the final pig design, for location in the event that this pig also became stuck in the line. A suitable transmitter was sourced and the internal design of the pig was modified to accommodate it. A number of foam pig vehicles were produced and, with the caliper electronics module fitted, each pig was repeatedly run through the loop in order to assess the wear rate and any potential damage from the anodes. 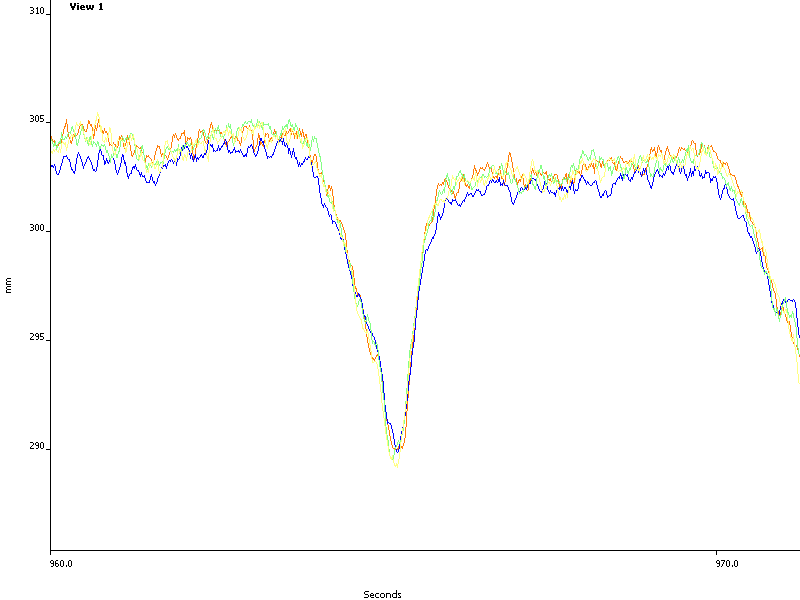 The test data was analysed and repeatability assessed. The outcome of the tests was satisfactory in all respects. 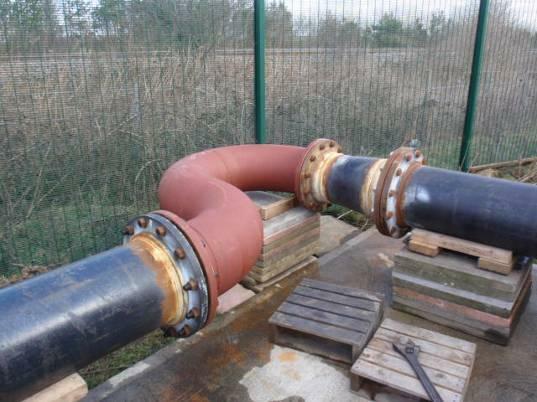 Acceptance testing comprised a witnessed program of further tests in the loop, with the addition of an arrangement of back to back 1.5D bends supplied by the client, and an additional simulated anode positioned on the exit from the bend. 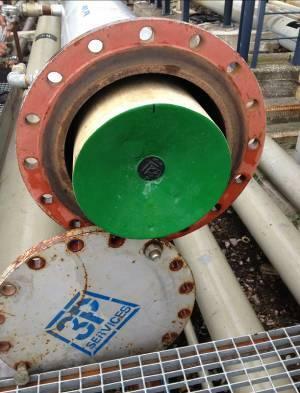 The foam caliper survey was carried out on 13th April 2012 in conjunction with Tecma Pipeline Services S.r.l who provided the operations support for running the pig. The caliper measurement pod was powered up and inserted into the pig body, followed by an electromagnetic transmitter and the retaining cap. The foam caliper was loaded into a temporary launcher at the terminal end of the pipeline and it was pumped through the line, using water, to the receiver in the tank farm. The pig run took approximately 3 hours, with the pig running at an average speed of about 0.3m/s. On completion of the run, the front section of the pig was found to have suffered significant damage but the rear section, where the caliper system is located, was in relatively good condition. The caliper measurement pod was removed from the pig and the data downloaded to a laptop. It was found that a full dataset had been recorded and the quality of the data was good. 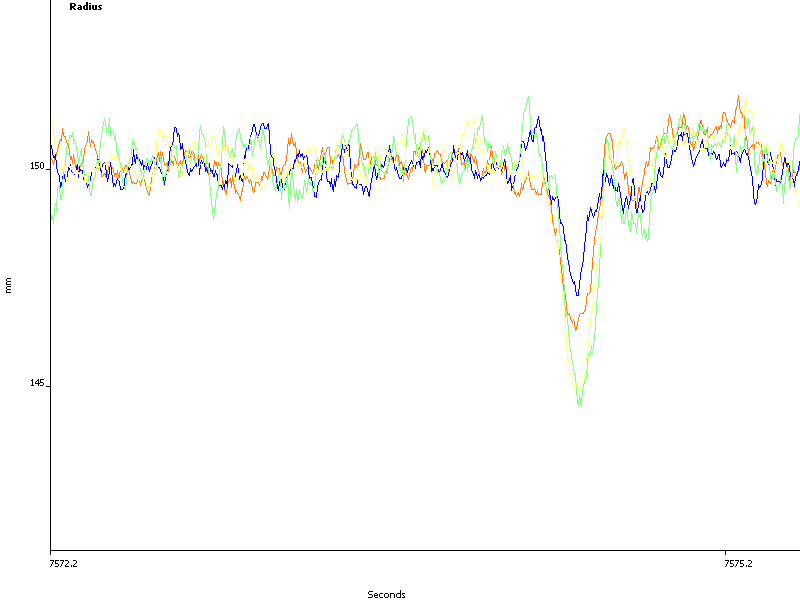 Using the characteristic response of the caliper sensors it was possible to identify bends in the pipeline. Also, by using the roll position sensors and the tilt sensor, it was possible to determine the direction of the bends and sections of rising or falling pipe. A total of 80 bends or bend combinations were identified in the data and, by reference to the strip maps of the pipeline, it was possible to correlate bends identified in the data with bends indicated on the maps. As the bends were distributed along the length of the pipeline, this provided regular ‘markers’ in the time based data, allowing us to accurately identify the location of other features in the line. 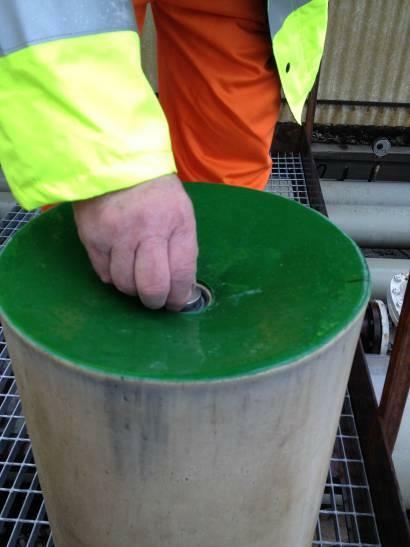 A total of 144 internal anode features have been positively identified in the data and using the bend marker data, it has been possible to identify and mark the location of each of the anodes on the strip maps. The first operational project for the foam caliper tool has proved to be very successful with the performance of the tool exceeding all expectations. 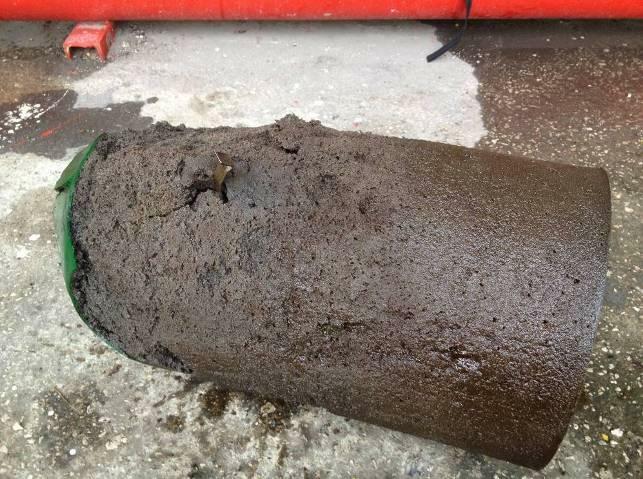 Faced with a pipeline exhibiting severe pigging difficulties, the client was unable to progress with the use of any type of internal inspection tool to assess the integrity of the pipeline, until the extent of the problem had been identified. With the Pathfinder Foam Caliper tool, PIL were able to offer the client a unique solution to this problem. The tool was able to traverse the full length of the line and, despite suffering significant damage to the front of the pig body, the caliper system continued to operate and collect good quality data throughout the complete length of the line. Using the caliper data from the Pathfinder tool and by reference to the existing strip maps, it has been possible to identify and locate 144 internal anodes in the line. 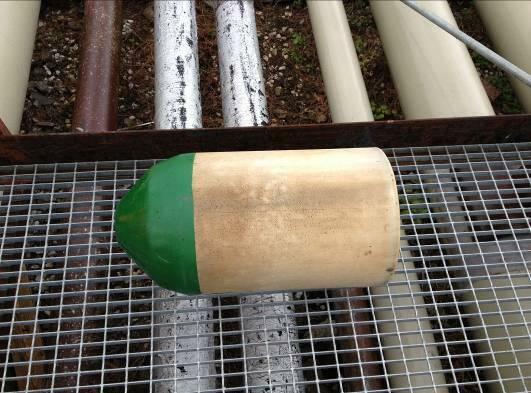 Knowledge of the number, location and distribution of the problematic internal anodes will now allow the Pipeline Engineers to make informed decisions on how to move the project forwards. Wilson Santamaria, European Pipeline Integrity Head – ExxonMobil.